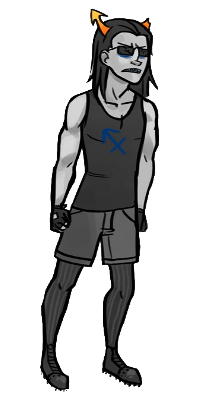 Equius Zahhak loves being STRONG. He has a great appreciation for the fine arts. He uses his aristocratic connections to acquire priceless masterpieces, painted in the oldest and most respected Alternian tradition of musclebeast portraits. These striking depictions of the exquisite fauna native to Alternia remind him of the purest physical ideal that must be sought by anyone who professes a love of strength. He often defends against lowbl00d scoundrel 100sers. Do you need a decent password? Do you need a placeholder webpage? Do you need random valid html for testing?